CALLING ALL POST-SECONDARY STUDENTS / STAFF! Are you still organizing your transportation plans for school this year? Would you also like to save money, meet new people, and positively contribute to the environment? We’ve got the perfect solution: carpooling with www.GoManitoba.ca! Carpooling is as simple as sharing a ride with at least one other person to a shared destination along the same route. GoManitoba is a free, easy to use tool to find people interested in carpooling near you. This online platform matches you with drivers and/or passengers who are looking for someone to share their trip to school with, along the same route and time frame as you. In addition, GoManitoba has a bike, transit and walking matching system to help those who would like some added security or comfort in their daily commute by having a buddy. To sign up, simply visit www.GoManitoba.ca! To learn more about GoManitoba, see our User Guide and Safety Guide. Parking: We’re happy to offer prime, “Top of the Lot” parking for two or more students who form registered carpool groups at the Notre Dame Campus. Dedicated student carpool stalls are located in 3 West (view parking map here). Additional carpool spaces are added based on demand. Parking: To share a parking space with a carpool partner and cut your parking costs in half, fill out an application form online [pdf] or visit the Welcome Centre at Fort Garry campus. 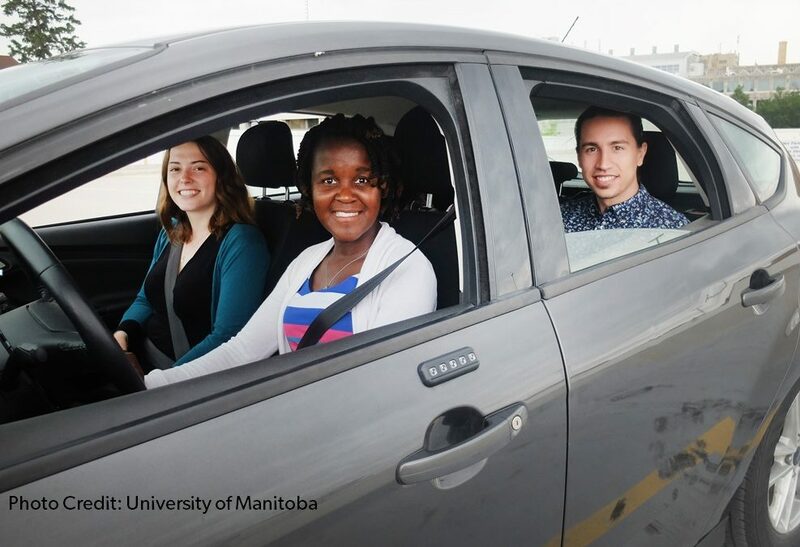 Carpool Spaces: Designated carpool stalls are avaiable in U, Q and B on Fort Garry campus. On Bannatyne campus they are available in E lot. These stalls are available for parkers with a valid permit only.